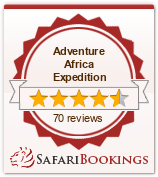 Our driver will pick you up from your hotel in Arusha after the breakfast as early as 0730am. there after you proceed to Lake Manyara National Park which is one of the Great Rift Valley Parks inhabited by flamingos in Tanzania. The park lies and is bordered between the Rift Valley Escarpment and the dusty Masai Steppe. On the western side is a forest and also the alkaline Manyara lake which covers the largest area of the park. The park was established in 1960 to give the elephants, giraffes, buffalo, antelopes and gazelles a protected habitat. The Lake Manyara National Park is also home to the tree climbing lions - tree climbing is a trait not normally found among st big cats and it is quite a sight to see. Upon entering the park our driver will open the vehicle roof and you can then start your wild life watching in earnest. After exploring the park exit in the late afternoon and proceed to Mto Wa Mbu Camping ground for dinner overnight. After breakfast descend over 600 meters into the crater to view wildlife for a half days safari tour. Supported by a year round water supply and fodder, the Ngorongoro National Park supports a vast variety of animals, which include herds of wildebeest, zebra, buffalo, eland, warthog, hippo, and giant African elephants. Another big draw card to this picturesque national park, its dense population of predators, which include lions, hyenas, jackals, cheetahs and the ever-elusive leopard, which sometimes requires a trained eye to spot. We will visit Lake Magadi, a large but shallow alkaline lake in the southwestern corner, which is one of the main features of the crater. A large number of flamingos, hippos and other water birds can usually been seen here. We will enjoy a picnic lunch in the crater, after lunch proceeds for another afternoon game drive untl 1730hrs when you will ascend from the crater and proceed to Tarangire National park. Dinner and overnight in the Seronera area, as per the standard and type of accommodation option requested. Day 4: Serengeti full day. The whole day will be spent in this amazing world known destination. After the breakfast proceed for game viewing drive along the Sogore River Circuit, which loops into the plains south of the Seronera River, and which is good for possible Lion, Thomson gazelle, topi, ostrich and cheetah sightings. The Visitor Center close to the Serengeti Seronera Lodge and public campsites is well worth a visit after the mornings game drive. This nicely designed center offers some interesting wildlife displays as well as a gift shop selling information leaflets and maps of the area. The center also has a shop where cold drinks and snacks can be purchased, as well as a picnic area and information trail up and around a nearby kopje. We will enjoy a relaxed picnic lunch at the center in the shade of the giant acacia trees. In the afternoon we will follow the Kopjes Circuit, which goes anti-clockwise around the Masai Kopjes, which usually attract a number of lion and some formidably large cobras. Kopjes are weathered granite outcrops, scattered around the plains, most of which are miniature ecosystems, providing shade and drinking water in pools left in the rock after the rains. This makes the kopjes particularly good for spotting wildlife in the dry seasons including lions, which like to lie in wait for animals coming to drink! Dinner and overnight in the Seronera area, as per the standard and type of accommodation option requested. Day 5: Serengeti - Arusha. Wake up early for the early morning game drive as from 0600hrs - 0930hrs, then return to the lodge or camp for the main breakfast as you prepare to check out and proceed back to Arusha arriving late evening with a drop off to the hotel of your choice where the safari comes to an end.